I think it is really much more than halfway. 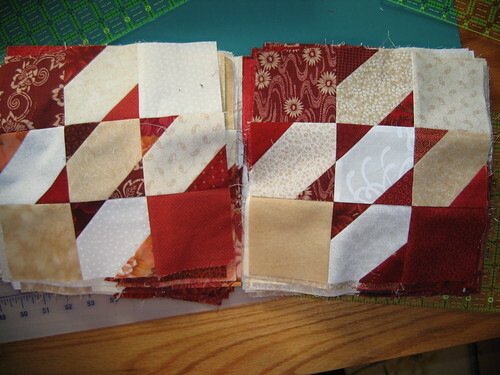 I had to get all those little triangles sewn onto all those squares first. I have all 60 of this group of blocks done and hope to get started on the second 60 yet this evening. It would be great to have the top all done by the end of this weekend. I have several swaps and exchanges to get taken care of next week! I like where you are going with this one!